Sorry for the lack of postings but I have not been able to get access to any of my blogs for a few days now - although it does now seem that I can post to my blogs I have only just found a way of viewing them. It seems I am not alone in having problems as many others in the UK have the same issue. Figures are a rough guide at a point in time. The average age is the most interesting to me at least as I expected the age profile to be a lot lower now, but I forgot the Volvo double deckers are all getting on a bit now! 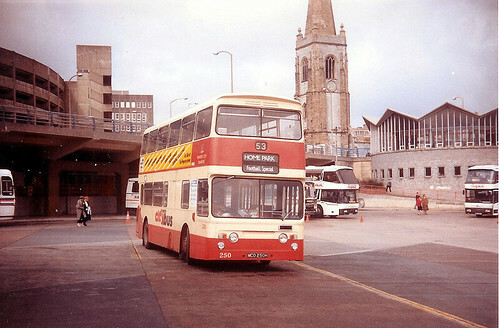 The other interesting bit - the only bus to appear in both fleet lists from 1977 and 2007 is of course 358 - the oldest bus in 1977!